Pressure monitoring and management are fundamental activities in maintaining reliable asset performance, delivering safe drinking water and reducing operations costs. We have the ideal solution for tracking pressure relief valve operations. It is also wireless, user programmable, and battery operated. 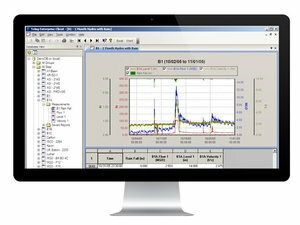 An Integrated Wireless pressure relief valve Monitoring Solution. Trimble Unity software combined with Telog wireless, battery-powered, recording systems provide a GIS-centric cloud and mobile platform for monitoring pressure relief valve event switches and valve pressures, providing event history (time stamped to one second resolution) of when, for how long and at what pressure a pressure relief valve operates. Information can be transmitted at user defined intervals and in response to alarm conditions, such as at high or low pressures or during set valve open durations.